See the studio transformed into a magical fairy glen. Come and join our fantasy world when the studio in Heaton Chapel is transformed into an enchanted fairy glen. 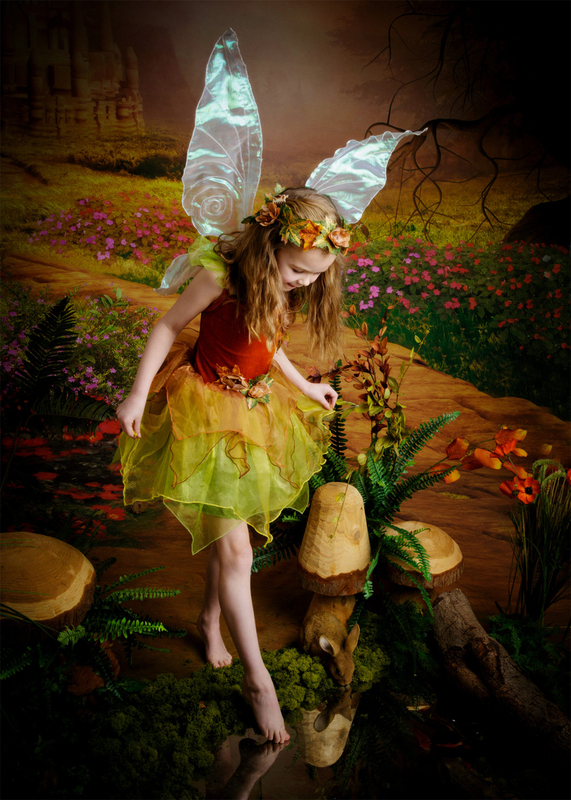 Fairies aged between 2 and 9 years old will love dressing up in a choice of outfits and posing on our magical set. Our Away With The Fairies sessions are £15 for up to two siblings and include the shoot, costumes and your favourite image printed on a mug. ‘My daughter is just obsessed with fairies and this was a dream come true! Beautiful fairy photos of my 2 girls, taken by Claire. It almost made me cry when I first saw them, really hard to choose. Claire was really lovely with my girls too. I would highly recommend MCauley Studios. Can’t wait to see them printed out now! Thank you so much Claire.